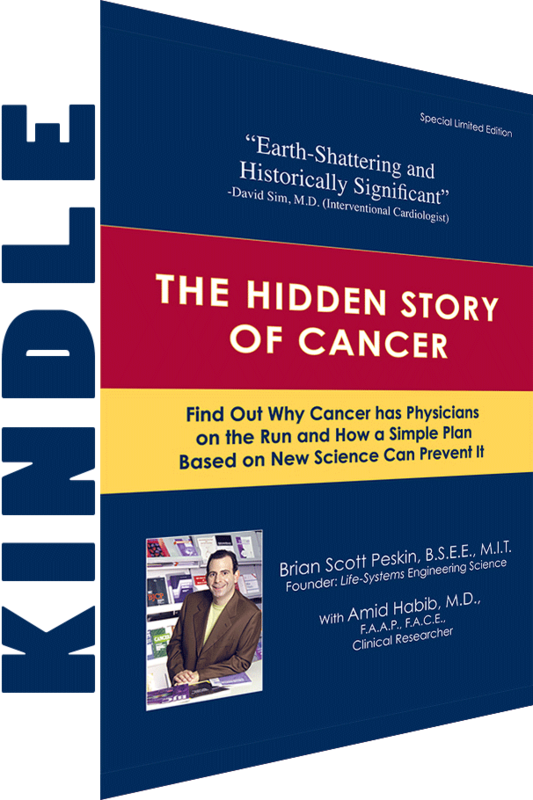 The Hidden Story of Cancer begins with the discoveries of Nobel Prize-winning biochemist Otto Warburg, M.D., Ph.D. describing the prime cause of cancer, how the American medical community confirmed it, and how today’s cancer physicians & oncology journals are aware of it, but have no idea how to solve the problem. The great news is the prime cause of cancer is NOT genetic like you have been told. Empty “promises of hope in the future” are no longer required. Cancer DOES NOT have to be in your or your loved ones’ future. Prof. Peskin has single-handedly discovered the solutions to Dr. Warburg’s “equations” and physicians praise this seminal work. The Hidden Story of Cancer begins with the discoveries of Nobel Prize-winning biochemist Otto Warburg, M.D., Ph.D. describing the prime cause of cancer, how the American medical community confirmed it, and how today’s cancer physicians & oncology journals are aware of it, but have no idea how to solve the problem. The great news is the prime cause of cancer is NOT genetic like you have been told. Empty “promises of hope in the future” are no longer required. Cancer DOES NOT have to be in your or your loved ones’ future. Prof. Peskin has single-handedly discovered the solutions to Dr. Warburg’s “equations” and physicians praise this seminal work. Get the Kindle version for $24.95. Note, this is not for the iPad Kindle app or other eReader formats, but the Amazon Kindle device only.